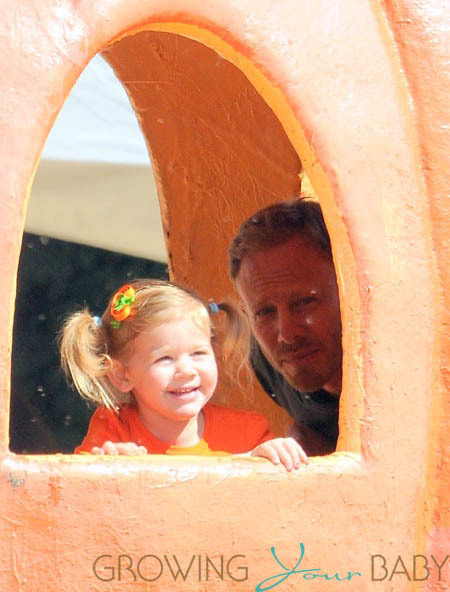 Ian Ziering was spotted getting ready for Halloween at Mr. Bones Pumpkin Patch in Los Angeles on Saturday. 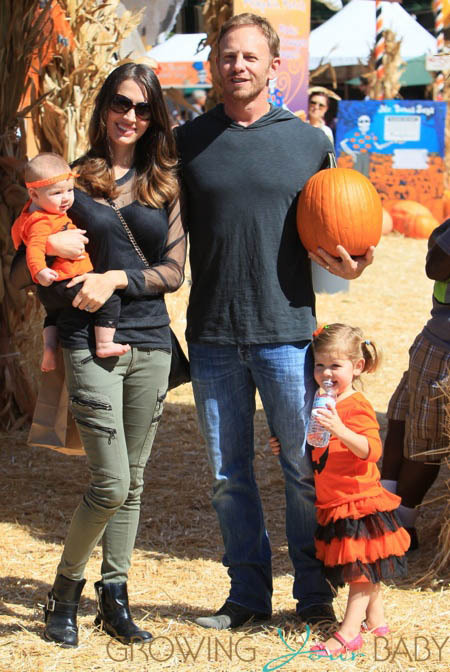 The Sharknado star was joined by his wife Erin and daughters Mia and Penna, who got into the spirit by wearing cute pumpkin dresses. While at the patch, Ian and Mia played, while Penna stayed close to her mom. We love seeing Ian spending time with his family. His girls are so sweet and he is always right next to them with a huge smile!